The RNLAF PC-7s are in the process of an modernization program with the installation of a glass cockpit and other upgrades to operate the aircraft for another 20 years. 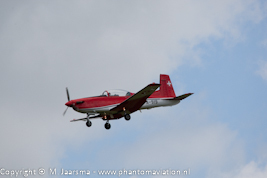 One aircraft has been returned to Woensdrecht AB after completing the upgrades and test program. Two aircraft were delivered to Pilatus for retrofit on July 6, 2017. 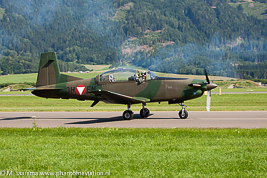 Austrian Air Force PC-7 at its homebase Zeltweg. 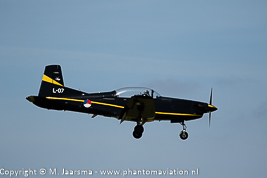 RNLAF PC-7 arrival for LMD 16 at Leeuwarden. Swiss Air Force PC-7 at Florennes in 2012. 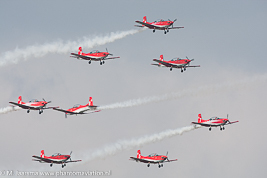 Swiss Air Force PC-7 demo team.